Hepatobiliary and Pancreatic Surgery is part of the Master Techniques in Surgery Series, which presents common and advanced procedures in the major subspecialties of general surgery. The series is overseen by Josef E. Fischer, MD, editor of the classic two-volume reference Mastery of Surgery. 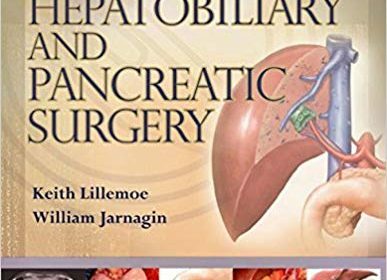 Hepatobiliary and Pancreatic Surgery depicts surgery of the liver, hepatobiliary tree, and pancreas, including cholecystectomy and hepatic resections. Both laparoscopic and open procedures are depicted. The book is written by acknowledged master surgeons, emphasizes surgical procedures, and is lavishly illustrated with original full-color drawings. Each chapter briefly assesses indications, contraindications, and preoperative planning before fully explaining and illustrating the procedure in step-by-step detail. Outcomes, complications, and follow-up are also discussed. Each chapter ends with a brief reference list.